Ensure your project gets the recognition it deserves. Here at Ideal Furniture, we stock the latest, most comprehensive range of projection screens Sydney has to offer. 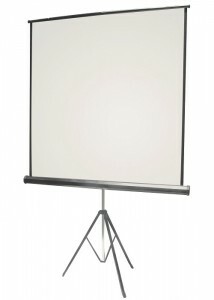 A projection screen is an interactive, powerful communication tool which is both durable and dependable. The projection board’s usage and appearance combines functionality with innovation. Ideal Furniture has been a trusted name since its opening over 10 years ago. We have built our company on the basis of efficiency and coherence. With years of experience in the field, you can trust us in ensuring you’re provided with only the highest quality office furniture. We want to help you create a professional environment that ferments productivity. Ideal Furniture stocks a wide range of projection screens online, so please feel free to browse our website or get in touch if you have any questions. Come down to our showroom today in Granville, Sydney and view the layout for yourself.